Happy Friday!!! 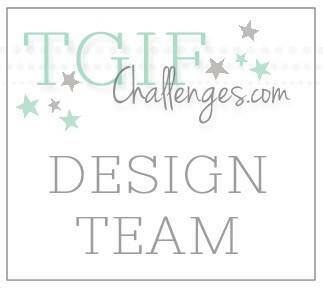 As you might expect, there is a new challenge over on TGIF Challenges. You are going to have a lot of fun with this challenge so let's get right into it. This week's challenge is really unique. I have never seen another challenge like this before. 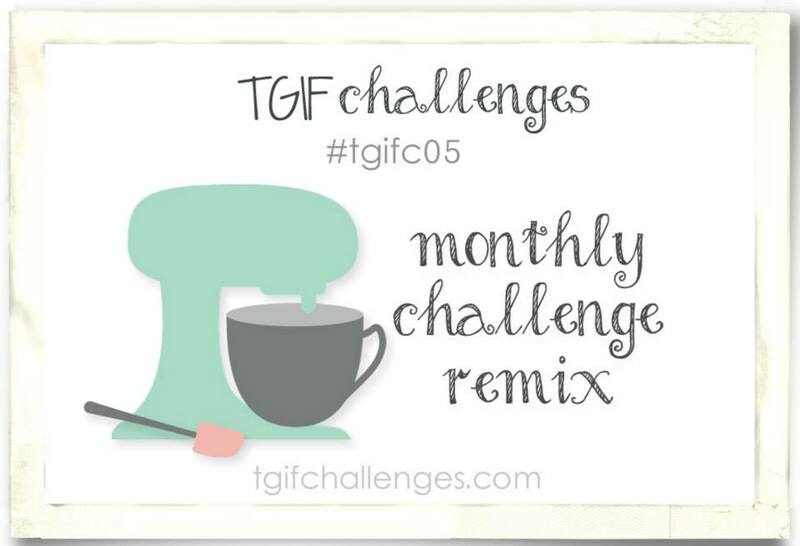 It is called the Monthly Challenge Remix. Basically, you take at least two of the other challenges (color, sketch, theme, or inspiration) and smash them into one project. I decided to marry the theme challenge (Congrats Grad!) with the color challenge (Pool Party, Calypso Coral, and Crushed Curry). My mom made me a graduation card that combined a bunch of the sentiments from the Bravo Set, and I thought it would be a lot fun to recreate it to share with all of you. Instead of a card though, I made this cute little bag from the Mini Treat Bag Thinlit. Since the Bravo Set is photopolymer, I laid all the stamps out to figure out how the fit together best. This bag could easily hold a little gift but I made a coordinating card. The cute sentiment comes from the B.Y.O.P Set. Similar elements like the stars and Crushed Curry Twine tie the bag and card together. Now head on over to TGIF Challenges, see what the other designers have made, and join the challenge yourself! 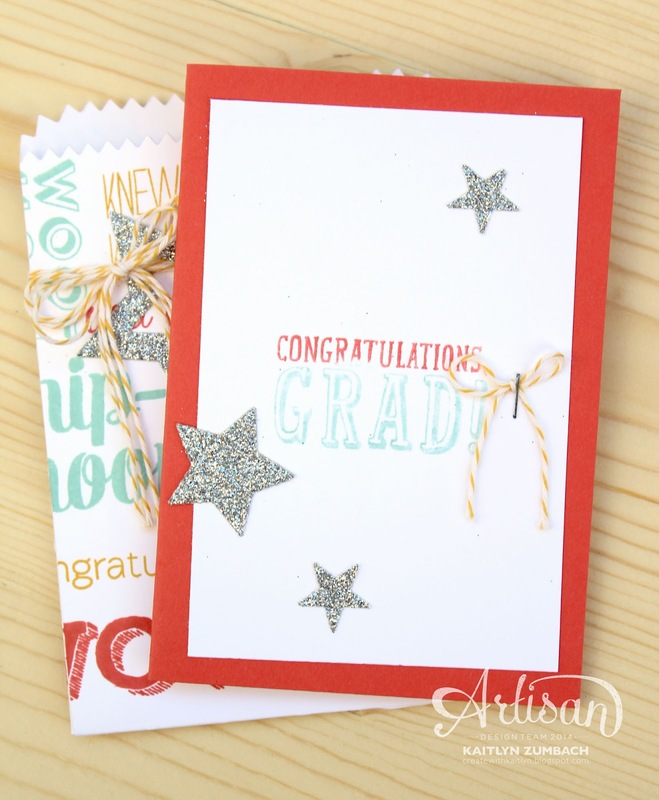 Never imagined this color combo for a grad card! It's really fun and festive :-) I guess that's what these challenges are for, huh? To push the limits and try new things? Great project! 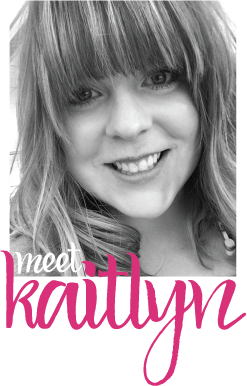 This is totally awesome Kaitlyn! I adore the look of all those sentiments together! So glad you're on our TGIF Team! Lovely Treat Bag with Card!!! Love this Kaitlyn!! 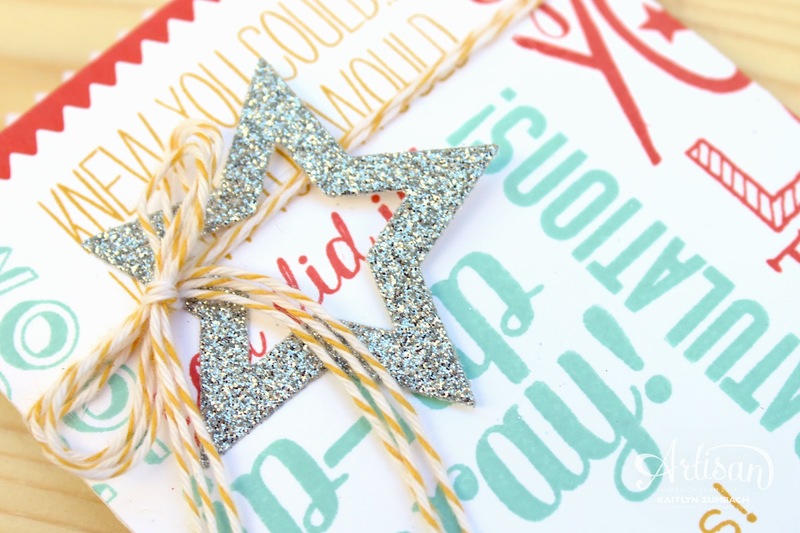 The twine threaded through the star is perfect! A great way to use the greetings. I am totally enjoying the mix up challenge. I love this! It would be a great way to include a gift card (or cash) for a grad. Love this card and your use of all the greetings on the treat bag. 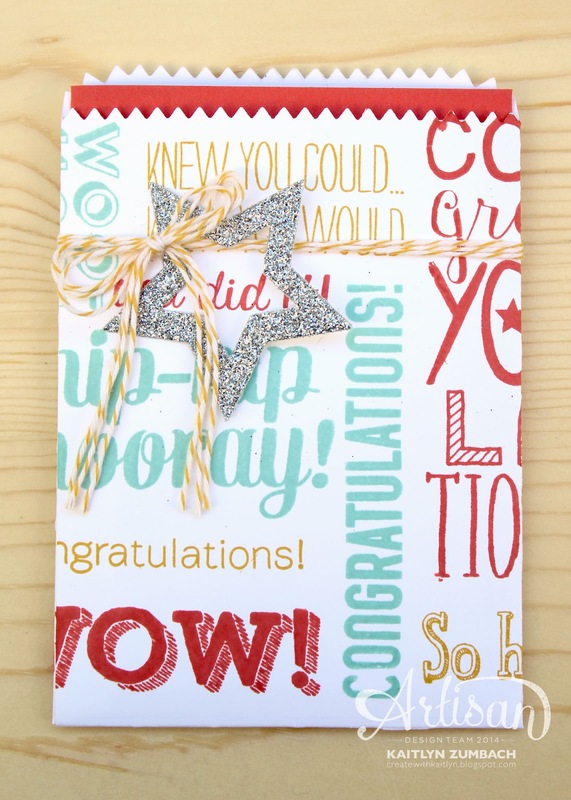 This is so cute and I love the hand stamped background! !